Nothing like a long and cold winter to get caught up on reading! 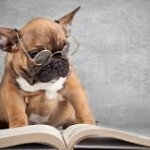 So many books on dogs – which ones are worthwhile? Out of curiosity I looked at the best seller list of some popular online retailers and what is most popular is not necessarily what is best. Choosing just 5 books was next to impossible.The only way I could limit myself to 5 was to stick to books specifically on dog behaviour and training. But there were a few special books that, while not specifically behaviour related, could not be left out and so I didn’t. 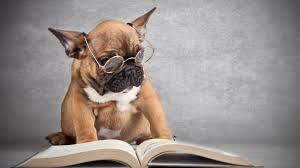 What are your favourite dog-related reads? I’d love to know! 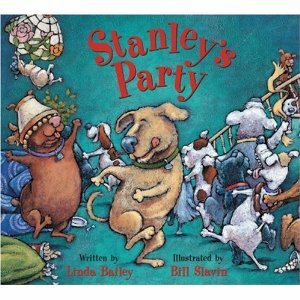 So many puppy books out there but only a handful of really great ones. While the title might be a bit overly ambitious, this is a terrific resource with lots of expert advice on puppies in an easy to absorb format. I saw Dr Horowtiz speak a few years ago and follow her work at the Canine Cognition Lab at Columbia University. 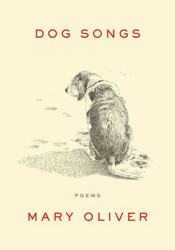 Be prepared to be amazed; you will not look at your dog the same way again after reading her book. Karen Pryor’s work with dolphins in the 1960s revolutionized training by popularizing force-free methods. Since then, her work has benefitted animals and their caretakers around the world. Don’t Shoot the Dog wasn’t written specifically for dog trainers but it is considered the bible of positive reinforcement and will show you how it can be effectively used to change anyone’s behaviour. Applied Animal Behaviorist and dog trainer Dr Particia McConnell gives us fascinating insight into how we are perceived by our dogs. Learn how to change your behaviour to improve communication and help bring out the best in your dog. 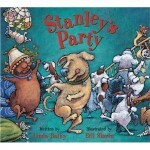 The first book I ever read on dogs, I still refer back to the many passages I highlighted and pages I dog-eared. Be prepared to abandon much of what you might think you know. Jean’s honest and direct opinions of the use of less dog-friendly techniques has sometimes led to criticism but her incredible passion for science and great love of dogs is guaranteed to enlighten and inspire. Kathy is one of my favourite speakers. When describing her work training dolphins for the US Navy in the 1960’s she points out that when working with animals in the open ocean, they always had the choice of just swimming away. A good trainer had to have a strong bond with their animal based on trust and respect as well as understand how to motivate them into wanting to work with them. Of course her words would have been far more eloquent but the message is one I carry with me at all times when working with dogs. This is her first book and a really thoughtful reflection on working with animals. Technically a children’s book – this was given to me by a client years ago as a gift. I have since bought it as gift for others many times. You don’t have to be a kid to love this charming story and delightful illustrations. 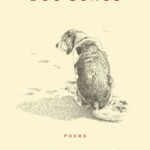 An insightful and sensitive collection of prose celebrating the love of dogs. Even if you’re not a poetry fan, I defy you not to be moved by this gem. Makes a great gift for the dog lover in your life. Temple Grandin is an internationally respected animal advocate whose challenges with autism have given her unique insight into animal perception. Her decades of devotion to animal study (she has a PhD in Animal Science and revolutionized the meat packing industry with her designs for humane handling practices) make this a fascinating read for anyone interested in animal behaviour. While I have not yet read it, her follow up book – Animals Make Us Human – is waiting for me on my nightstand and is sure to be anther not-to-be-missed read.